These are OEM NEW Genuine Sealed, without outer box. As a reminder, these are produced and vacuum-sealed by Canon! One black and 3 colors (cyan, magenta and yellow). Item model number: C2P07AN. Manufacturer Part Number: C2P07AN. Material Type: Ink. Ink Color: Tri-color. Last updated on Apr 17, 2019 16:31:34 PDTView all revisions. 0888182992302 Manufacturer Part Number. Box pic is for reference only. You get one of each color:Black ,Cyan, Magenta, andYellow. Over 100,000,000 served. MPN: CH561WN. Dates standing at Late of 2020 Or Even Better - FRESH INK -. Model: 61. HP Deskjet : 1000, 1010, 1012, 1050, 1051, 1055, 1056, 1510, 1512, 1514, 2050, 2510, 2512, 2514, 2540, 2542, 2546, 3000, 3050, 3050A, 3051A, 3052A, 2054, 3054A, 3056A, 3510, 3511, 3512, 3521. 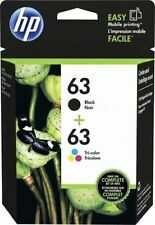 New ListingHP 952XL Black 1 HP Original Ink Cartridge F6U19AN. Exp. 2020/2021. New! Product number F6U19AN. Expiration date: Nov 2020/Jan 2021. -HP OfficeJet Pro D 7720, 7740, 8210, 8216, 8710, 8715, 8720, 8725, 8730, 8740. -HP OfficeJet 8720. I appreciate it! 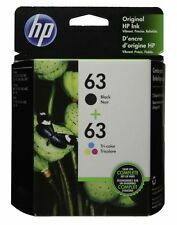 5 out of 5 stars - HP 952XL Black 1 HP Original Ink Cartridge F6U19AN. Exp. 2020/2021. New! 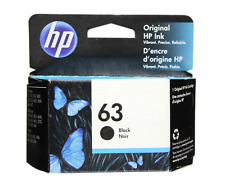 94 product ratings94 product ratings - HP 952XL Black 1 HP Original Ink Cartridge F6U19AN. Exp. 2020/2021. New! Model C2P05AN. Manufacturer Color: Black Noir Color Manufacturer Color Black Noir. Ink Color Black Noir. C2P05AN140 Page Yield: 600. Page Yield 600. Page Output: 600 Type: Genuine/Original. Compatible Model hp. You get 2 of each color and black. Box pic is for reference only. FREE scheduling, supersized images. Back to Top. Failure to do so is not our responsibility. SET of 5: PGI Black, CLI Black, Cyan, Magenta, Yellow. You will receive ONE each of the 5 colors: PGI Black, CLI Black, Cyan, Magenta, Yellow. Model No. : HP 952XL. HP OfficeJet Pro 8715 8716 8717 8720 8724 8725 8726. HP OfficeJet Pro 8727 8728 8730 8734 8735 8736 8740. HP OfficeJet Pro 8743 8744 8745 8746 8747. HP OfficeJet Pro 7740 8210 8216 8218 8718 8710 8714. Whether you constantly print school papers, artwork, or business documents, it's important to have plenty of ink. Printer ink cartridges store the colors that are required to make your documents look great. Selecting the right ink product will enable you to produce quality documents with your inkjet printer. What are the different types of ink cartridges available on eBay? Single-color ink cartridges: These ink cartridges only contain ink in a specific color. Common color options include black, cyan, magenta, and yellow. Tri-color ink cartridges: As the name implies, these ink cartridges contain three colors. Printers will use combinations of the three colors to produce other colors as required when you print your document. Multi-color ink cartridges: These ink cartridges contain more than three colors. They are convenient because they do not require owners to purchase several cartridges. Brands: There are many brands to choose from on eBay, including Brother, Canon, Dell, Epson, HP, and Lexmark. Models: You can also select printer ink cartridges based on the model. Available models on eBay include HP 61, HP 60, HP 950XL, HP 951XL, HP 56, and Canon CLI-8. Which ink cartridge is compatible with your printer? Open the panel on your printer that contains your ink cartridges. Observe the number that is printed on each inkjet cartridge. If you can't see any numbers, then release the cartridge from your printer. See if you can find the number printed on a sticker placed on one of its sides. Use this number to determine which cartridge is compatible with your printer. 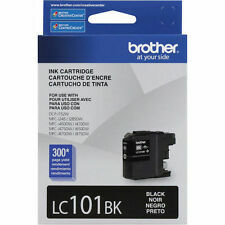 eBay has cartridges for many brands and models of printers. This means that they will have one that fits your printer. When checking for compatibility, you can also check your printer's manual to see if the cartridge will work. Also be sure to get the correct color because single-color ink cartridges can't be interchanged with tri-color ones. These are ink cartridges that have been thoroughly cleaned, inspected, and refilled with ink. 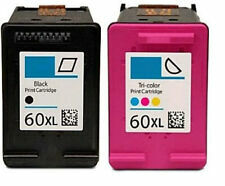 Because they are remanufactured, they are often more affordable than new, unused ink cartridges. 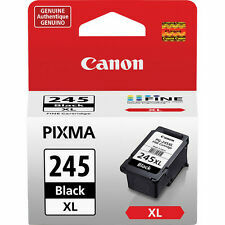 eBay offers a variety of remanufactured ink cartridges in a range of colors and models. Grayscale printing is a technique used to print documents in shades of gray that range between black and white. Many printers can print in grayscale with just a black ink cartridge. 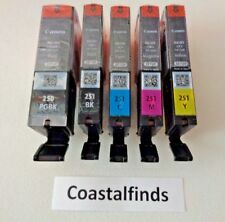 Color inkjet cartridges can also be used. This process can be an effective way to conserve ink.